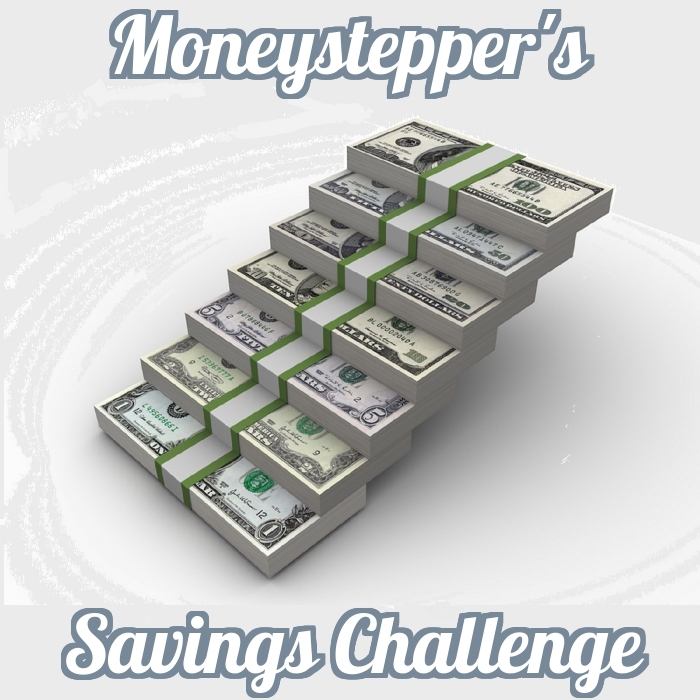 Welcome to Session 01 of Moneystepper’s 2015 Savings Challenge Podcast. This episode brings you answers to eight FAQs that have cropped up since we launched the challenge last week. The challenge has been specifically designed so that it is appropriate and comparable for everyone. I’ve received comments on the challenge (both in person and on the blog) which have stated that they don’t think they’ll participate this year because of X,Y or Z. Today, I want to run down each of these and explain why the challenge is still just as important, and probably even more important, for people in these situations. 1. I have variable income and so sometimes my savings rate for some months has been 0%. No problem. As you will be able to see on the Savings Rate tab of the downloadable spreadsheet, the Savings Rate goal is annual, and measured each month as a year-to-date (YTD) average. Therefore, the savings rate would be 25% and we would be on course for the annual goal. When submitting your results, there is also a comment box on the form to explain why we are above/below our goal in any one month. Therefore, in January and February we could add a note saying that savings rate is way behind our goal because income is variable and not expected until March. This is one of the instances where I think recording goals and progress is even more important, as its essential that people with variable income budget well and understand their exact financial position at all times. 2. I am not sure I am 100% ready to join, but I do have my own goals and things I want to make happen in 2015. As we highlight in Session 01 of our podcast, we do not suggest that these are your only two goals for 2015. In fact, in 2014, I had 9 financial goals (of which these two were included). Each of the goals focussed upon a different area (dividend income, wedding savings, ISA contributions, property income, business profit, etc), but the impact of each was effectively a contribution to these larger annual goals. For example, why was I wanting to earn dividend income? So that I could improve my income, which would have a positive effect on my savings rate (as long as I reinvested my dividends) and my net wealth. So, create other financial goals at the same time as the challenge. We actively encourage it. However, I would be surprised if these financial goals aren’t in some way linked to a savings rate % and increase in net wealth in some way. 3. I’m not sure how applicable it would be to us. My husband is self-employed, so we can’t predict our income from month to month. Also, we’re focused upon debt-reduction rather than savings. Regarding self-employment, I hope that we have already addressed this in FAQ 1. However, the debt-reduction point is a commonly raised concern, but the challenge has been specifically designed to be open to everyone, whether they are paying down £1m in debt, or whether they are multi-millionaires. The savings in the “savings-rate” is calucated as all money placed towards savings & investments, but it also includes any payments made to pay down debt above the interest accrued (i.e. repayment of capital/principal). Why do we do this? Well, effectively, paying down debt is essentially saving money at the fixed rate of interest of the loan. Including this in the savings rate (because it leads to future increases (or avoids future decreases) in net wealth) ensures that people trying to pay down their debt are not “punished” in their savings rate because they are focusing on paying down. Once again, both goals in the challenge are maybe more important to strive towards if you are currently paying down debt as people on a debt repayment journey need to be as organised and focussed on their finances as possible. With the burden of consumer debt and disastrous impact that paying compound interest can have on your finances, you need to be laser focussed. 4. There is a good likelihood I will start the year with only $500 in net worth. My aim to increase my net worth by $29k would be a 5800% increase, which is hugely misleading. Firstly, this actually isn’t misleading. You are going to be increasing your net worth by 5,800% in this example. Cool, hey? However, this isn’t how your progress will be shown in the monthly results. Instead, your monthly result which is published on moneystepper for each goal will primarily focus on your performance against whatever goal you set. Let me explain through an example. Say you start with (as you suggest) $500 and your goal is $29,000. Then your goal is indeed an annual growth of 5,800%. This is the figure you submit for your annual goal! After three months, for example, your YTD goal would be (3/12 x 5800% = ) 1,449%. Say your real net worth at the end of March was $7,500. Then, your actual improvement would have been 1,500% (which will show in the spreadsheet) and this is the figure you will submit. These percentages look a little crazy, but the important thing is that your “result” which is shown on moneystepper and that we will focus on will be that you are 3.5% (1500/1449) above your YTD target. Therefore, this would be the same as someone who has $1m starting point if they were 3.5% above their target. 5. Probably not got the expendable income for it in 2015 – my wife and I have just had a baby and she will be on maternity for most of the year. Once again, this is an example when it’s even more important to set goals and stick to them. The secret here is setting ambitious, but realistic, goals to achieve given everything else that might be happening in the year. If your goal is simply to improve your net wealth by 1%, or maybe it’s to not let it decrease by anything more than 5%. Whatever your goals may be, you can set the percentages accordingly and strive to meet those goals. The same applies to the savings rate. Maybe you want it to be 0% (i.e. you don’t save, but you live only off your income and don’t need to raid your savings to live). Equally, it may be that you don’t want it to be lower than minus 5% (i.e. you only take out a certain amount from your savings to live). The key will be setting an accurate forward looking budget and then determining your percentages accordingly. 6. How do pension contributions work? Aren’t they savings? Other deductions (line 6) do not include a deduction for your pension contribution. Therefore, pensions (employee and employer) will be included in the net income. Savings then include both employee and employer pension contributions (line 13). Hence, all pension contributions (employee and employer) are considered as savings. These are also measured at current value on your personal balance sheet (the “net worth” tab) in line 7. 7. I run my own business. Is the challenge still appropriate? Again, it may be even more appropriate. With your own business, income is likely to be variable, and you’ll need to make the segregation between yourself as an individual and the business as an entity if it is structured legally like this. One way is to have an equity amount on your balance sheet (being the amount you invested in the company), which is not changed, but your net worth and savings rate will be updated when the company pays you a salary or distributes dividends to you. Whilst the accounting becomes a little more complex, it is important to understand and segregate your own personal financial goals from that of your business. 8. I’m worried about people seeing my net wealth. Don’t be. When you submit your annual goals, you are asked to select a “net wealth band”. However, these net wealth groupings will never be publicly disclosed. You will simply have different groups on the results page. The groups will only be named Group A, Group B, etc and will never have a monetary amount associated with them. Therefore, you will know everyone in your group is in the same net wealth band as you. However, your actual net wealth will remain a secret. I hope that this answers some of the common questions and misunderstandings with the challenge. If you have any other questions, please let me know via the comments below and I will update the FAQs accordingly. How Do You Play With Your Money? Hey, I’m Question 4 🙂 Thanks for the detailed explanation again. I think you’re going to have a great little (big?) community with this challenge. Cannot wait. Let’s hope so Alicia! I can’t wait for the start of the challenge.